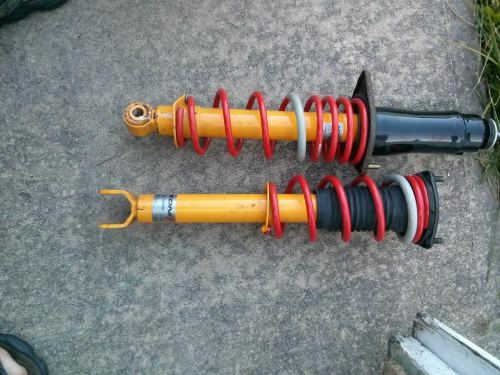 Up for sale is my Koni Yellow adjustable shocks and Tanabe gf210. They have been on the car for about 6 months, so they are still in really good condition. I want to sell them together for $550. I prefer local pick up (North New Jersey) but i will ship at buyers expense. If you are willing to separate the Koni's, let me know. im trying to sell them together but if i get another person that just wants the springs, you will have first shot at them!